Planning to get married at your local county courthouse, but you don't think hiring a Photographer is not necessary because it's not a "big wedding"? think again. I've shot a few courthouse weddings and I feel like they are equally as important as "big" weddings. Having a small union doesn't mean you shouldn't document it! make the best of your courthouse wedding by getting your portraits taken. 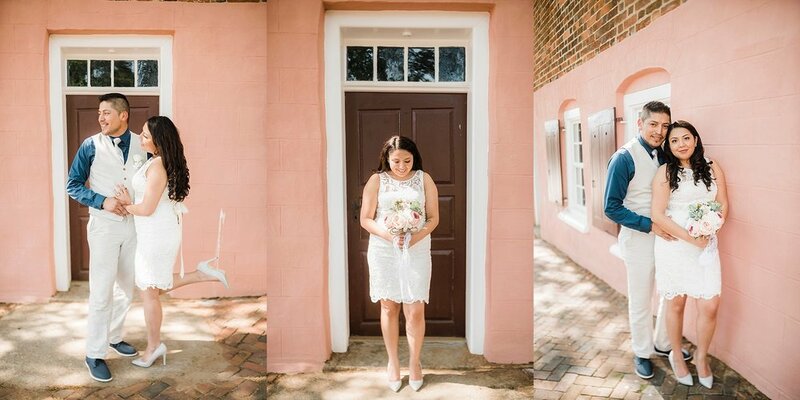 Take a look at this civil union of Adriana & Abacuc, after their short courthouse ceremony we met at Old Salem Gardens in Winston-Salem where we captured these amazing photos. Not only did we have a blast, but we also captured some beautiful memories that this awesome couple will cherish for the years to come.